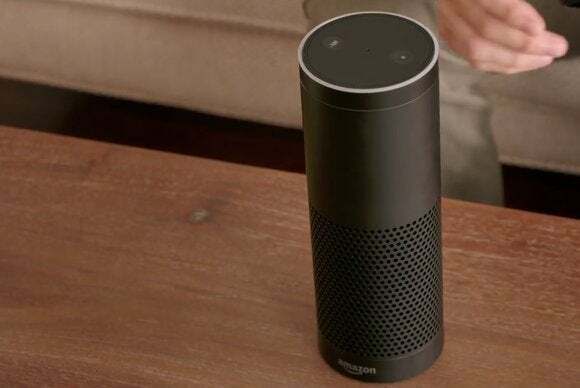 With Yelp integration, Amazon’s connected speaker now serves up restaurant and local business recommendations. Amazon’s Echo speaker can already manage your grocery list, but now it’ll also direct you to a restaurant when you don’t feel like cooking. The $180 connected speaker can now search local business information from Yelp. For instance, you can ask what Chinese restaurants are nearby, or what the hours are for a nearby pharmacy. You can also look up addresses and phone numbers, or ask only for top-rated nearby businesses. To get these search results, you’ll have to enter a home address in the companion Alexa app for iOS or Android. Once you’ve done that, asking for something “close by” or “nearby” should trigger the local Yelp searches. According to Engadget, Echo can also order Halloween candy on your behalf, provided you have voice purchasing enabled. The phrases “order Halloween candy” or “order Halloween chocolate” should do the job. Echo is nearly a year old now, and has steadily added support for new voice commands. Earlier this month, Echo gained a “Sports Update” feature that runs through the scores and schedules of your favorite teams, and also added a way to get Fantasy Football headlines. Presumably, these features should come to other devices that run Amazon’s Alexa voice assistant, such as the new Fire TV. Why this matters: Local search results were a pretty big omission from the Echo until now, but ultimately they’re just another step in Amazon’s quest to power your entire home. As Amazon opens up Alexa’s search capabilities to more third-party apps, and puts Alexa on more hardware, it could start to feel like having an all-knowing AI lurking in every corner of the house.